Baltimore State's Attorney Marilyn Mosby has been in office less than 100 days, but she's already taken on a case that could define her career. 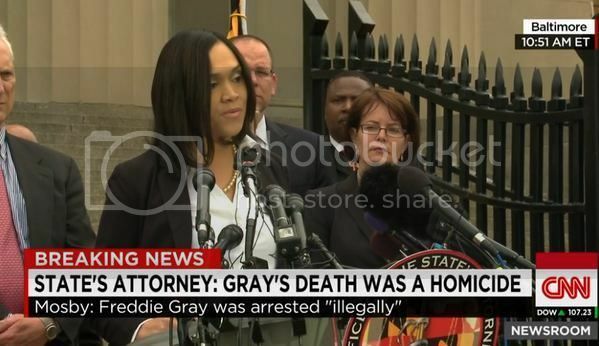 35-year-old Mosby held a press conference today in Baltimore to announce that charges will be filed against 6 Baltimore Police Department officers who are responsible for the death of Freddie Gray. Gray's death was ruled a homicide and charges range from second degree depraved heart murder to false imprisonment. Watch her deliver the news below.